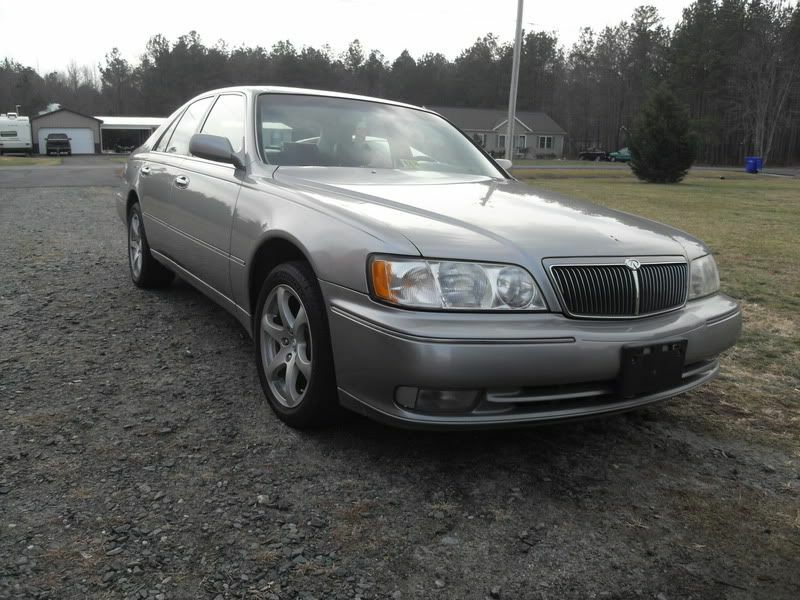 Hello, I am thinking about selling my 2000 Infiniti Q45. I just got brand new tires put on still 99% of tread left, New oil Change less than 50 miles ago and filter, The car is sitting on 17" G35 coupe wheels. The car is a little over 113,000 miles. I do drive this car everyday so if you need the exact mileage I can get it for you. Spark plugs will be changed before the car is gone or I can just give them away with the car. I also have just installed brand new windshield wipers the nice Duralast flex kind that flex to your windshield. The car has a little dent on the hood, right mirror is scuffed up. I love the car but just looking to finish my 2 cars that I already have. If you have any questions, send me a email. $6800 OBO The car does have a sun roof, Heat, A/C, Heated Seats etc.